The Offshore Diving Industry Agreement (ODIA) dates back to the early 1980s. It is the name of a 3-year collective agreement between 6 diving contractor companies and the RMT trade union, governing minimum rates of pay, allowances and health/injury insurance for UK North Sea diving personnel. Each company is an individual contractor with its own company structures, commercial and operating frameworks, and arrangements to source, engage, deploy and manage its personnel. The signatory company may not necessarily be ‘the employer’, but each recognises the importance of the ODIA as the ‘industry baseline’ for core pay and conditions for UK North Sea diving personnel. Information about our member companies can be found in the members' page. The ODIA Agreement establishes the minimum Day Rates payable and Terms and Conditions, for the disciplines below, who work in diving operations in the United Kingdom Sector of the North West European Continental Shelf, whether outside the territorial waters of the UK (normally 12 miles or 19.25 kilometres from shore), or inside territorial waters where offshore diving, normally in support of the oil and gas industry, is being carried out. 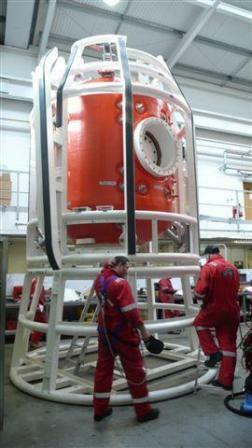 Specifically included are non oil and gas DP and bell diving operations. Specifically excluded are diving operations being conducted in support of civil, inland, inshore or harbour works or in any case where operations are not conducted from an offshore structure, vessel or floating structure normally associated with offshore oil and gas industry activities. Copyright © 2019 Offshore Diving Industry Agreement (Company Signatories). All Rights Reserved.